Two charged with Organized Retail Theft under new law in Fayetteville, N.C.
From: WMUR – NH’s ABC Affiliate. This segment features Salem, NH Deputy Chief Shawn Patten, who was RMANH’s Law Enforcement Partner of the Year in 2012. 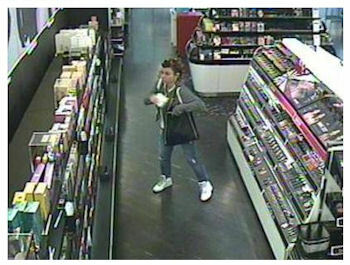 SALEM, N.H. —Police in New Hampshire and Massachusetts are looking for this woman they said has stolen more than $100,000 worth of merchandise from local malls. Investigators said the woman has hit stores in at least three towns. Police said she stole from the Mall at Rockingham Park in Salem several times. They said she also has specific tastes, preferring to steal items from Victoria's Secret and Sephora, and she may also be targeting Abercrombie & Fitch stores. "Between all three locations, primarily in Peabody and Salem, it's well over $100,000 of merchandise," said Salem Deputy Chief Shawn Patten. Police said the woman has also targeted the Northshore Mall in Peabody, Mass. Investigators are also exploring the possibility that she robbed the Pheasant Lane Mall in Nashua on Thursday night. In a surveillance photo, the woman can be seen with a large bag. "Sometimes they use aluminum foil or duct tape, so they use theft-shielding devices with this organized retail crime," Patten said. Patten said the woman is following a pattern often used by organized thieves. "They're able to go in and grab stuff at the front of the store when employees may be distracted and just shove a bunch of merchandise in, in the order of maybe 80 to 100, 150 pairs of underwear," Patten said. Patten said the woman may have help. "She is working alone inside the stores; however, we don't believe she's working alone," he said. Police said they think they might have some leads as to how the woman is converting the stolen items to cash. "We think she might be selling it out of her trunk," Patten said. "There's also some lower-level unofficial-type stores that sell all kinds of merchandise that she's probably getting rid of it to." Anyone with information on the thefts is asked to call local police.